If you want to get involved, but aren't sure where to start — just contact us for help! 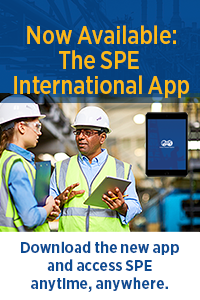 SPE’s Young Professional programs — for members age 35 and younger— help you acquire professional and soft skills, and provide ample networking opportunities to help you advance your career. Engage the next generation of oil and gas professionals! The Ambassador Lecturer Program invites Young Professionals to present and share their experiences with local SPE chapters, universities, and schools. The Career Pathways Fair gives you a chance to meet with specialists from multiple disciplines and gain insight into possible career paths. Held several times throughout the year, this event gives students, recent graduates, and Young Professionals an opportunity to speak with experienced professionals in an informal environment. Gain industry insights and practical career advice from experienced professionals through the eMentoring program. Young Professionals also have the unique opportunity to serve as mentors to students. 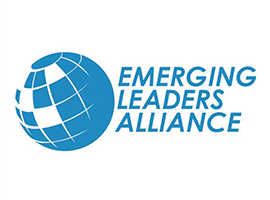 The Emerging Leaders Alliance 🗗 is a partnership among leading engineering and science-based organizations that provides high-quality leadership training. The Young Member Engagement Committee selects promising Young Professional members to attend this conference and develop their skills. View past lectures on our YouTube playlist. Applications for the 2018 ELA Travel Grant have now closed. The 2019 ELA Travel Grant will open May 2019. Give back to SPE and the industry with the League of Volunteers! Opportunities are available for Young Professionals to participate, run, and develop various soft skills events such as communication skills workshops and team building exercises. “Spotlight on Young Professionals” lets members share the voluntary contributions and technical achievements of these members. Submit your story today 🗗 for a chance to be featured in YP Newsflash section of The Way AheadTM! All submissions will be reviewed by the Young Member Engagement Committee. Share soft skills and technical knowledge globally with other Young Professionals. Learn more about becoming a speaker 🗗 and view past webinars. The Young Member Engagement Committee (YMEC) ensures young professional and student engagement remains a top priority for SPE. YMEC members play a crucial role in developing and implementing valuable programs and activities for SPE young members worldwide. Interested in Serving on the YMEC? The Way AheadTM is SPE's online resource for students and young professionals. Produced by young professional volunteers, articles include topics such as career development, emerging technologies, mentoring, and university-to-industry transition. For questions on any of the programs shown here, email us.